Mrs. Mildred H. Wright entered into eternal rest on December 03, 2018 at Chaplinwood Health and Rehabilitation, Milledgeville, Georgia. Funeral services were held on Saturday, December 8, 2018, at 1.00 pm at the Griffin Memorial Chapel of Slater's Funeral Home. The interment immediately followed the service at Hill Cemetery, Gordon, Georgia. Mildred Hill Wright was born in Haddock, Georgia to the parentage of the late Stephen and Bessie Perdue Hill. 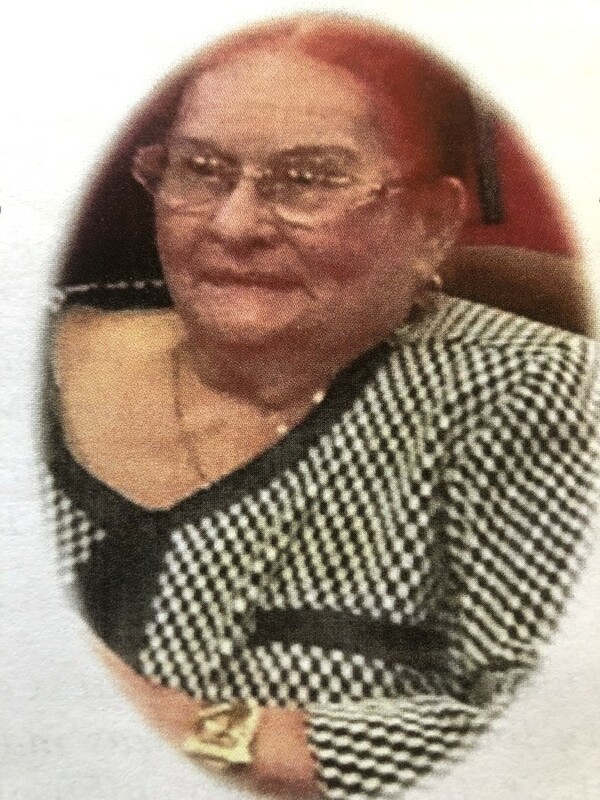 She entered into eternal rest December 3, 2018 at Chaplinwood Health and Rehabilitation, Milledgeville, Georgia. Mildred accepted Christ at an early age. She received her education from Jones and Bibb County Schools. Mildred Hill Wright was employed at Central State Hospital for thirty-four years. She was married to the late Leroy Wright, Sr. to which two children were born. She was a devoted mother, daughter, sister, and aunt. She enjoyed spending time with her family, grandsons, and eating out. She will be missed by all who knew her. She was preceded in death by her husband, parents, siblings, son and daughter. Cherishing the memories of our beloved Aunt Mildred are her grandsons; Eddie Brown (Dorothy), DeWayne Jones (Angie) of Lumberton, NJ, and Timothy Wright of Virginia, great grandsons, Eddie, Robert and David, daughter-in-law Cathy Wright, a special friend, Brenda Ford (Milledgeville, GA) nieces nephews and other relatives and friends.